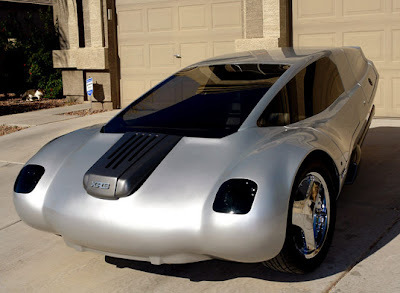 The XR3 Personal Transit Vehicle (PTV) is a super-fuel-efficient two-passenger plug-in hybrid that achieves 125 mpg on diesel power alone, 225 mpg equivalent when diesel and electric power are used in series, and performance like a conventional automobile. The design of the XR3 Hybrid is based on existing technologies and a vehicle "personality" that makes conserving energy a fun driving experience. 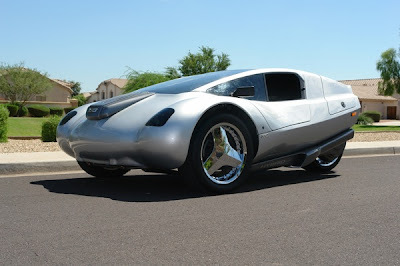 It showcases the design ideas explored in Robert Q. Riley's book, Alternative Cars in the 21st Century. 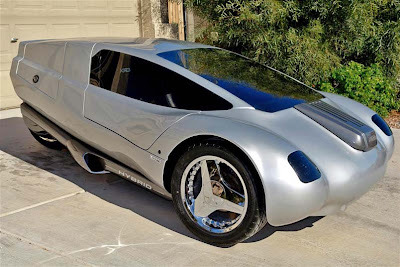 At just 1480 pounds, this high-performance design combines fast acceleration, a maximum speed of 80 mph, and fuel economy of 125- to over 200-mpg. 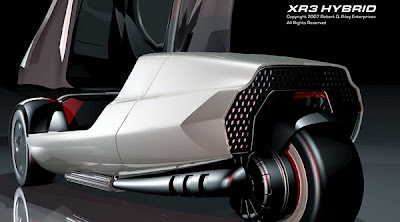 Its clam-shell canopy and three-wheel platform boldly differentiates the XR3 from conventional passenger cars. The vehicle's hybrid power system, diesel engine, and low curb weight are the main ingredients of its super-high fuel economy and excellent performance. Acceleration equal to that of a conventional car and a maximum speed of 80 mph make the XR3 Hybrid equally at home on freeways and surface streets. 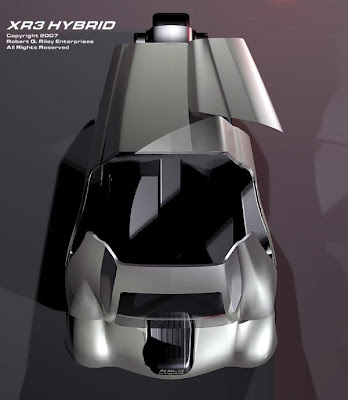 Plans enable people with common building skills to build a duplicate of the XR3 Hybrid prototype. Or using the technical information in the construction manual, readers will understand the factors that influence fuel economy, and learn how to make any car achieve greater fuel economy. 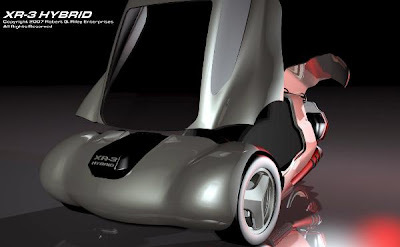 The XR3 Hybrid gives enthusiasts and experimenters the opportunity to significantly reduce their transportation expenses and have fun doing it. 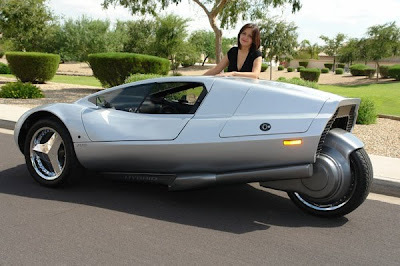 On a broader level, the vehicle is a highly visible example of the kinds of vehicles that could help reduce personal mobility energy. The vehicle's performance and fuel economy comes from a combination of two fundamental design factors. First, it is essential to keep the vehicle as light as possible in order to reduce the amount of mechanical "work" that has to be done. The method of getting rid of unwanted mass while still keeping the car's mechanical benefits demands good design and modern materials. Once the amount of "work" has been minimized, then the other part of the equation is to do the remaining "work" as efficiently as possible. And that's where the hybrid power system comes in. So the fundamental approach is very simple. 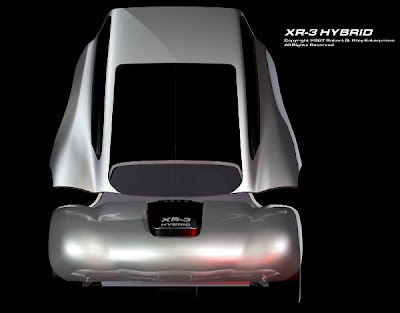 The XR3 is a "plug-in hybrid." This makes it possible to drive on battery power alone on trips of about 40 miles. And when both the diesel and the battery-electric systems are used in series, fuel economy increases to over 200-mpg. Fuel economy is about 125-mpg on diesel power alone. Today's hybrids are called "mild hybrids" or "charge-maintaining hybrids". They use the electric system to help with acceleration. You can drive on battery power alone, but only for a short distance; around the block, for example. The battery pack is small and contains only enough energy for brief periods of acceleration. The combustion engine then recharges the battery between acceleration cycles. But fuel economy suffers while the battery is being recharged due to the extra drag placed on the combustion engine. That's why today's hybrids provide only a limited improvement in fuel economy. In order to get the full benefits of a hybrid power system, designers must switch to the plug-in hybrid architecture. Plug-ins will be the next generation of hybrid vehicles. A plug-in hybrid simply means that part or all of the vehicle's energy is taken from the grid system where it is cleaner and less costly to produce. Most of the world's automakers are now working on plug-in hybrids. The plug-in architecture also allows much greater flexibility in power system choices. With a mild hybrid, like the Honda Insight and the Toyota Prius (also called "charge-maintaining hybrids"), proper control of the power system depends on having known operating characteristics of the subsystems - the internal combustion engine (ICE) and electric systems. Subsystems are selected in advance and controlled by a computer. The computer, however, can properly manage integration of subsystems only when the output characteristics of the two systems are predefined and fixed. Any modification in either of the power systems (electric or ICE) can cause the control system to operate incorrectly. 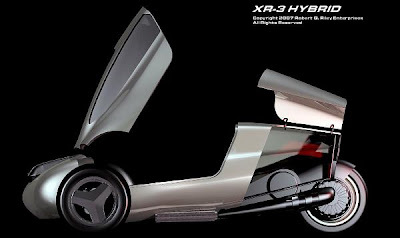 With the XR3, the two front wheels are powered by the combustion engine, and the single rear wheel is electric powered. These two power systems are not connected within the vehicle and they are not integrated by a computer. The connection between the conventional and electric power systems is provided by the ground. Proper phase-in between the two power systems is handled by a simple throttle mechanism and dash-mounted switches that let the driver select between ICE power, electric power, and dual (hybrid) power modes. In the hybrid operating mode, the XR3 has lots of burst power for quick acceleration. If you were to use this acceleration potential to its fullest, fuel economy will be reduced. Fuel economy will also vary according the particular components chosen for the power system. Performance figures quoted here are for a conservatively-driven vehicle having a system configured just like the prototype. Plans provide the information necessary for selecting different components in order to modify the vehicle's performance characteristics. 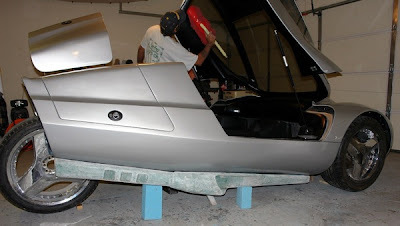 The canopy and the entire front of the body are removable. 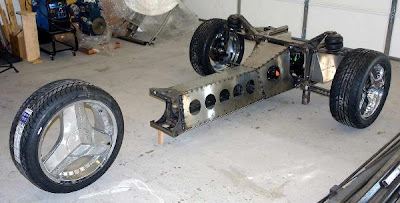 Removing the front body section (normally called the "front clip") provides complete access to engine and suspension components for major servicing. A composite roll bar is built into the perimeter of the panel that defines the rear of the passenger zone. In addition, the canopy is equipped with a tubular steel perimeter frame which is reinforced by steel "A" pillar members. 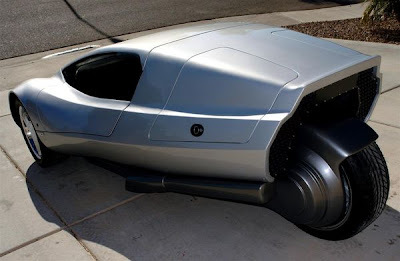 This provides excellent rollover protection. Construction costs are highly variable because of the many choices available due to the XR3's design. It's a modular design that lets builders make choices according to their budget and performance goals. 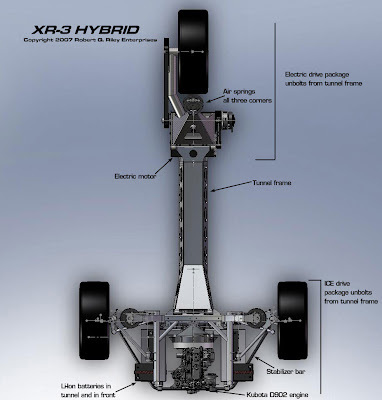 More than half the cost of parts for the XR3 prototype went to the electric propulsion system. Electric propulsion components alone cost more than the cost to build the entire remainder of the vehicle, including the diesel power train. At the bottom end of the scale, a diesel-only vehicle capable of achieving 125-mpg can be built for less than $10,000. 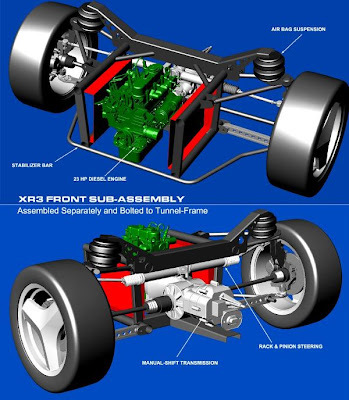 And the modularity of the design allows you to begin with a diesel-only vehicle then add the electric power train components later on. It's simply a matter of leaving off the unwanted components. With a diesel-only version, you can enlarge the 3-gallon fuel tank to 9 gallons and end up with a range of over 1,000 miles on a single fill-up. 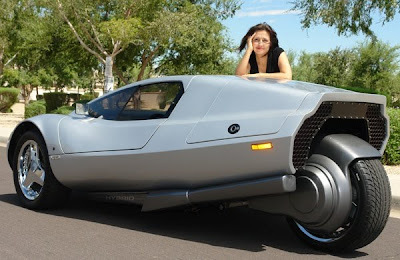 Similar options are available with a battery-only vehicle. One can simply leave off the combustion power system, install more batteries in the extra space up front, and end up with a BEV capable of driving 100 miles on a charge. Li-ion batteries can be recharged in about two-hours. A full recharge of lead-acid batteries normally takes 6 to 8 hours. These cost-related choices also affect the performance of the vehicle. For example, leaving off the electric propulsion system reduces vehicle weight from nearly 1500 pounds to about 950 pounds. This improves diesel-only fuel economy and acceleration.